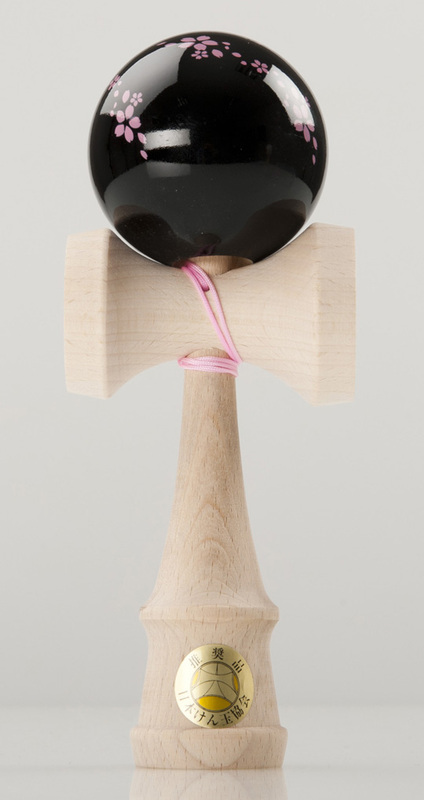 Sakura Ozora Kendama is made by japanese atelier Yamagata Kobo to celebrate the most favorite japanese flower, cherry blossom. Sakura Ozora was made in five color combinations: black with pink blossoms, pink with dark pink blossoms, pink with silver blossoms, pearl white with pink blossoms and red with white blossoms. Last three belongs to limited JKA edition.